A Crown is the visible part of your tooth. Seen above the gumline, a crown can look pleasing to the eye depending on features such as its shade or color. How can the color of a crown change? Over time, your teeth may lose their youthful luster. Stains are often characterized as either extrinsic or intrinsic. Extrinsic stains are generally superficial. 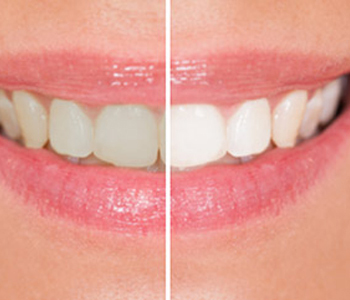 These superficial stains make teeth look brownish or yellowish. Intrinsic stains affect the deeper, inner layers of the tooth. Grey-hued teeth are associated with this type of staining. Grey or blue-grey discoloration can be caused by excessive use of fluoride in early childhood, as teeth are developing. Grey discoloration can also indicate damage to the root that anchors the tooth to the underlying jawbone. How can Dr. Virtue restore natural, beautiful color? If damage is to blame for grey color, the doctor may recommend restoring the tooth with an aesthetically-pleasing, metal-free crown. Virtue Dental Care can produce these biocompatible crowns in a single visit. The doctor and his team use CEREC technology to design and create beautiful crowns and their more conservative counterparts, inlays and onlays, while you wait. Not all Yadkinville-area dentists have the ability to handle every step of the crown process in-house and within a single appointment. In most offices, at least 2 appointments would be required. The first visit would involve preparation and placement of a temporary crown. Information about the crown would be sent to an outside lab. Technicians at this lab would then fabricate the new tooth structure. A second visit would follow, at which time the temporary would be replaced with the permanent, lab-made crown. Dr. Virtue can also make any adjustments in-house to assure the new tooth fits precisely and to help set you up for success with the new crown. The Virtue Dental team takes great care to produce long-lasting crowns and will work with you to assure the long life of your new tooth, through ongoing check-ups and professional cleanings. If you are interested in determining the cause of your stained, or grey teeth, Virtue Dental Care Patients call (336) 679-2034 and New Patients call (336) 679-2034 to schedule an appointment and begin the restoration process.